The above products are recommended for installation or mounting of the Post Angle Foot Cover. The Post Angle Foot Cover hides the post mounting hardware, creating an elegant, finished look. 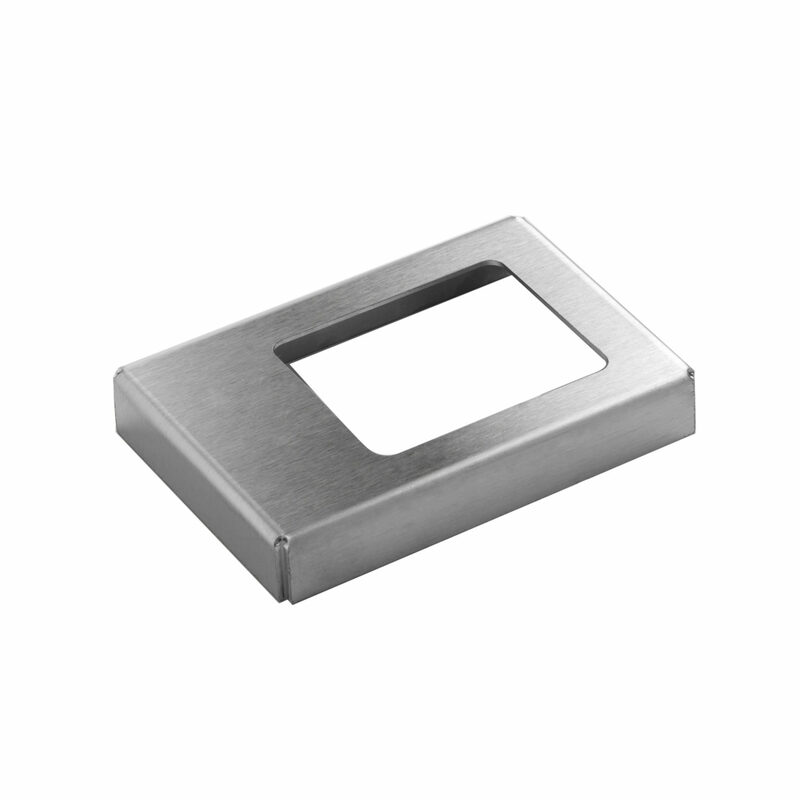 The cover is 3/4″ tall and made to match any of our metal post finishes. What are the outside dimensions of this cover? The Post Angle Foot Cover will be 4 3/4″ (length) x 3 11/16″ (width) x 3/4″ (height).